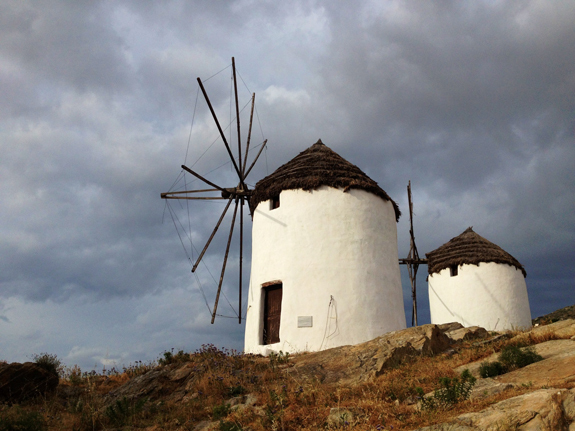 There are many beautiful things to see on the island of Ios, Greece and one of them are the famous windmills. 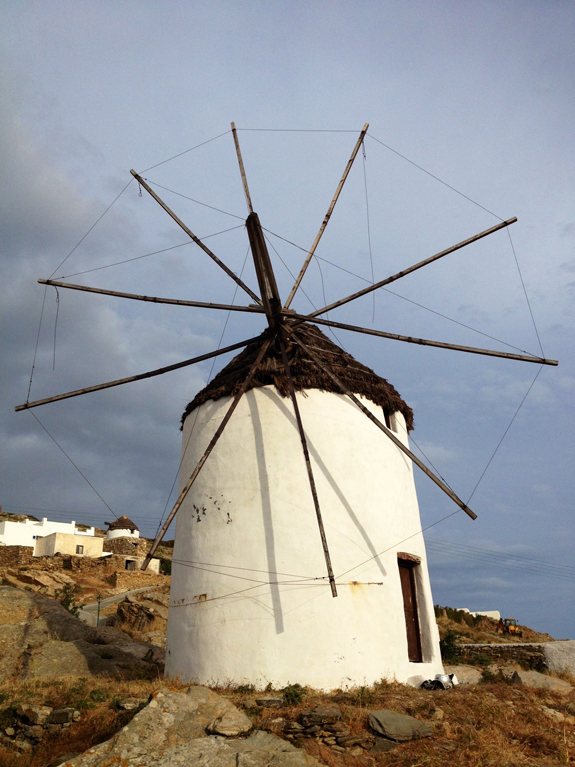 There are 12 on this island and only 3 have been restored. 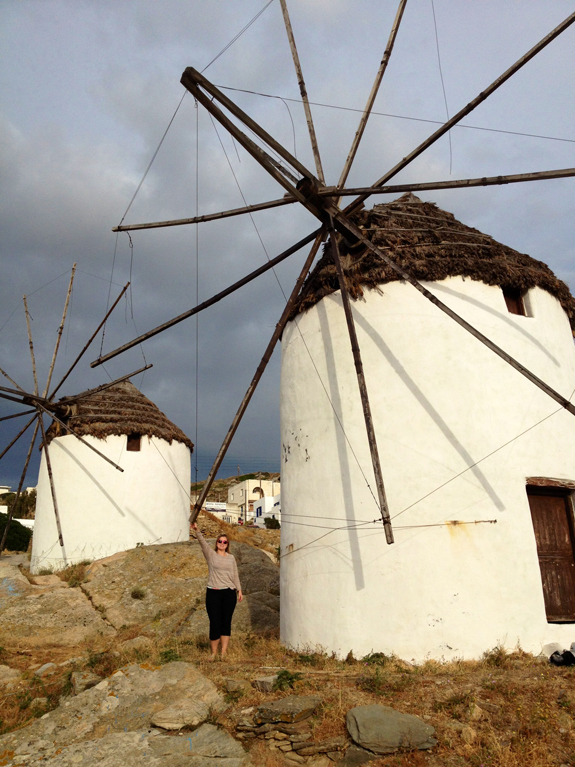 At one point in time they were used to grind barley and wheat to make bread! 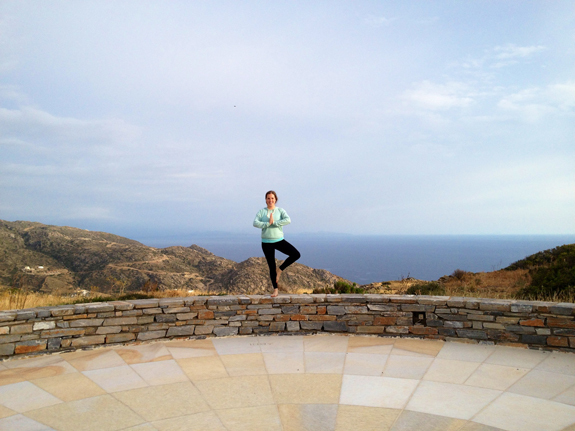 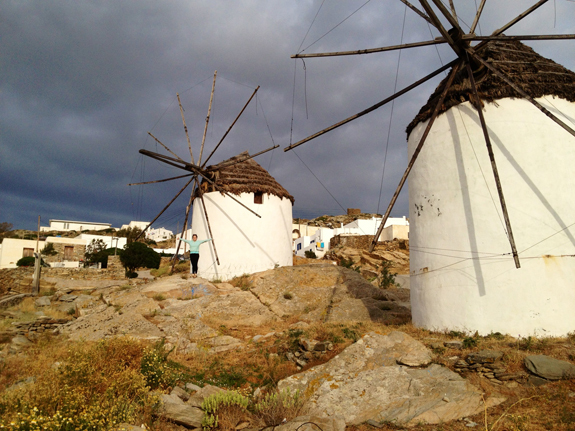 To get to these windmills, walk East through the village of Chora. 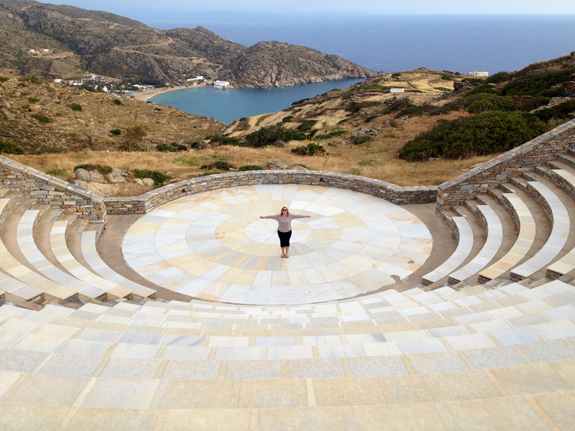 Just around the corner from the windmills on the top of the hill of Chora was the famous outdoor theatre called The Odysseas Elytis Theatre of Greece, Cyclades named after the famous prize winning noble poet. 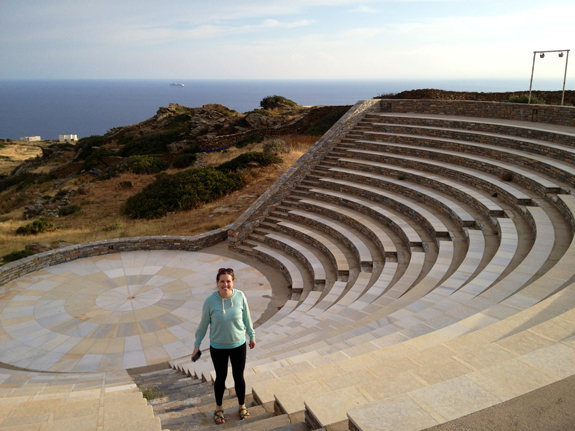 The amphitheater is made of mable and can hold up to 1100 people. 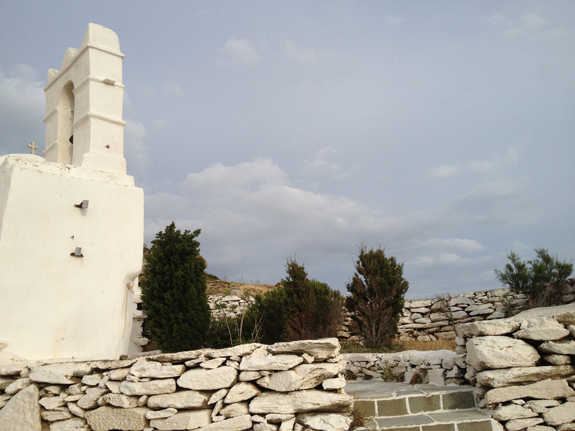 This is one of the architectural wonders of Ios and I highly recommend visiting it! Image performing or speaking here in front of a packed audience on a sunny day . 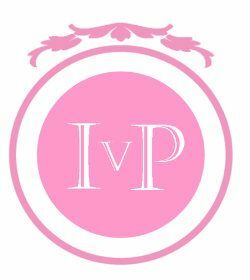 . . Just magical!